Roy Keane has hit out at Jose Mourinho, telling him to ‘shut up’ and focus on the task at hand rather than worrying about the critics. Mourinho has sought out his detractors in recent weeks, taking aim at them in press conferences and on camera after games. Against Tottenham on Saturday, the United boss looked towards the camera and held is finger to his lips in a shushing motion at the full time whistle, after his side secured a 1-0 win over their rivals. The Portuguese boss claimed that it was a message to those who doubt him, as he asked them to ‘relax and stay calm’. He was at it again after the win over Benfica at Old Trafford, telling reporters it was up to the ‘specialists’ to analyze how United had played in the game. 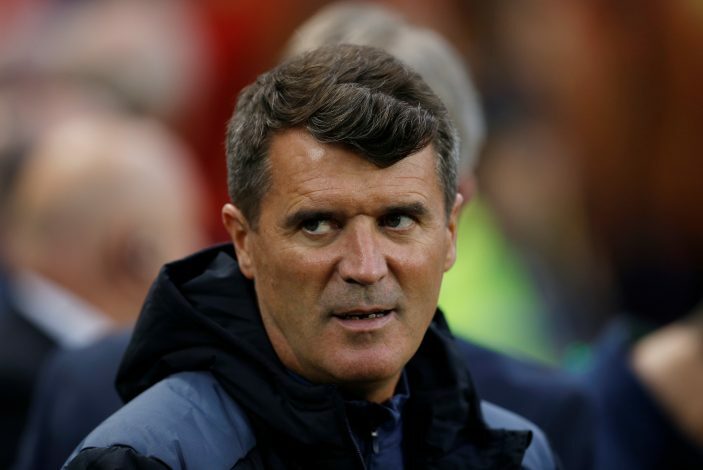 And now, Roy Keane, who is never shy of making his feelings known, has made clear his annoyance at Mourinho’s antics, telling him to shut up and get on with it. “My only concern about Mourinho is that he seems to be distracted by the so-called critics out there,” Keane told ITV. “He is probably paid eight, nine or ten million pounds a year so focus on your own job. Rise above that.